MANILA, Philippines - K-pop singer Se7en will be temporarily leaving the entertainment industry and his fans as he will be enlisting in the Korean military today, March 19. Se7en will be entering the Uijoungbu 306 Reserve Battalion today where he will receive his basic military training. He will be in the military for 21 months. Under the law, all qualified Korean men are required to serve in the military. Last March 17, Se7en posted two photos of himself on Instagram that showed him with full and shaved haircuts. To bid goodbye to his fans, Se7en held his 10th anniversary concert "Thank U" last March 9 in Seoul where he announced the date of his enlistment. 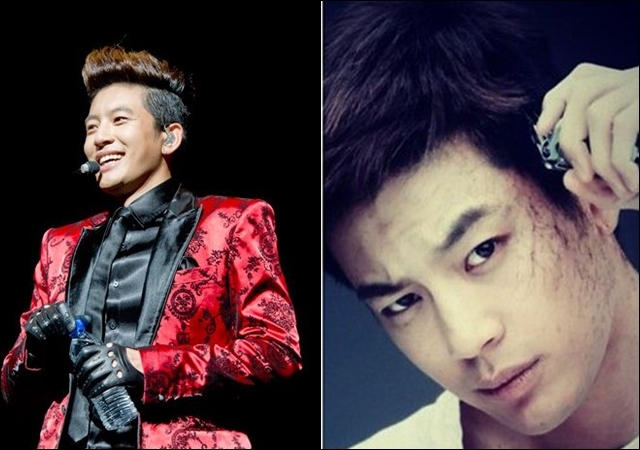 2NE1, Big Bang and Gummy, all YG Entertainment artists, made an appearance at the concert to greet Se7en. Days before his enlistment, Se7en did a photoshoot for magazine L’Officiel Hommes Korea. Last month, Se7en and his girlfriend, actress Park Han-byul, reportedly visited Bacolod City in the Philippines. Park Han Byul's father is said to be living in Bacolod. Photos of the two together with a Filipino fan were uploaded on Facebook. Se7en debuted in the K-pop music scene in 2003. In 2007, Se7en left Korea to prepare for his debut in the US. He released his first US single "Girls" in 2009 which featured Lil' Kim. In 2010, he made his comeback in Korea after three years with a mini-album titled "Digital Bounce." He has since promoted in Korea and Japan. Se7en is expected to be discharged from the military in December 2014.